After winning EY Entrepreneur of the Year in the Pacific Northwest region, Snap! Raise & Snap! Mobile co-founder & CEO has set his eyes on the national competition. Snap! 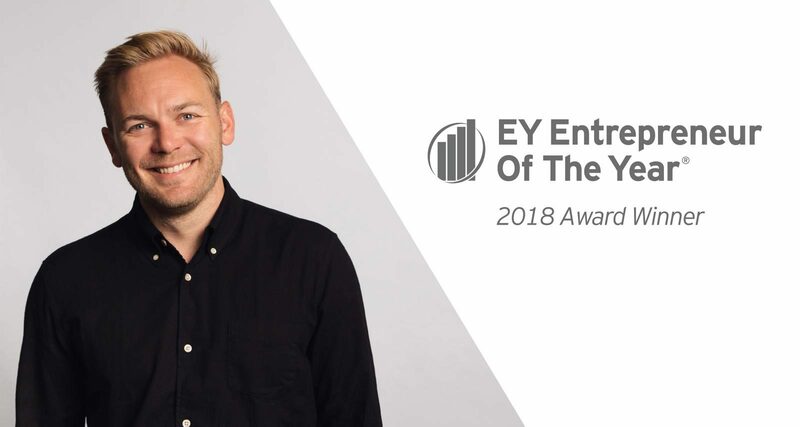 Mobile co-founder and CEO Cole Morgan is a national finalist for EY’s Entrepreneur of the Year Award, the world’s most prestigious business award for entrepreneurs. Morgan advanced to the final round of the US competition after taking home the Entrepreneur of the Year award in Workflow Optimization for the Pacific Northwest region in June 2018. The US Entrepreneur Of The Year National Awards will be presented by Seth Meyers in Palm Springs, CA on November 10, 2018. The awards ceremony will come at the conclusion of the Strategic Growth Forum, a five-day-long conference November 7-11 connecting executives and entrepreneurs from across the country around issues of leadership and business development. Snap! Mobile, launched in 2013, is best known for Snap! Raise, a fundraising platform created to serve the youth athletics and activities space. In addition to its 147 employees at its Seattle HQ, Snap! Raise employs over 250 outside sales representatives throughout the country and is responsible for facilitating fundraisers for over 40,000 educational and extracurricular programs in all 50 states. Snap! Advance, Snap! Raise’s sister platform geared toward the higher education community, has been used to coordinate over 80 Giving Days throughout the United States, including record-setting efforts at Columbia University and the University of Notre Dame. "I think it's validation that we're on the right path and that what we're doing is actually making a difference," Morgan said of his Entrepreneur of the Year honor. "And to see the names of the companies that have won the same award before – Amazon, Redfin, Zillow, Boeing – that's incredible. Even though we're young, we're hungry. We really are making a difference and people are believing in what we're doing." According to EY, the Entrepreneur Of The Year program strives to recognize “entrepreneurs who demonstrate excellent and extraordinary success in areas such as financial performance, innovation, and commitment to their businesses and communities.” The independent judging panel includes previous award winners, leading executives, and private equity and venture capital investors. Among the entrepreneurs previously honored by the program are Howard Schultz of Starbucks, Pierre Omidyar of eBay, and Reid Hoffman and Jeff Weiner of LinkedIn Corporation. Despite such prestigious company, Morgan believes Snap! Mobile has earned its place among the country’s most innovative businesses in the realm of Workflow Optimization. "It's spot on for what we're trying to do, which is to improve the lives of coaches and educators by giving them their time back," Morgan said.